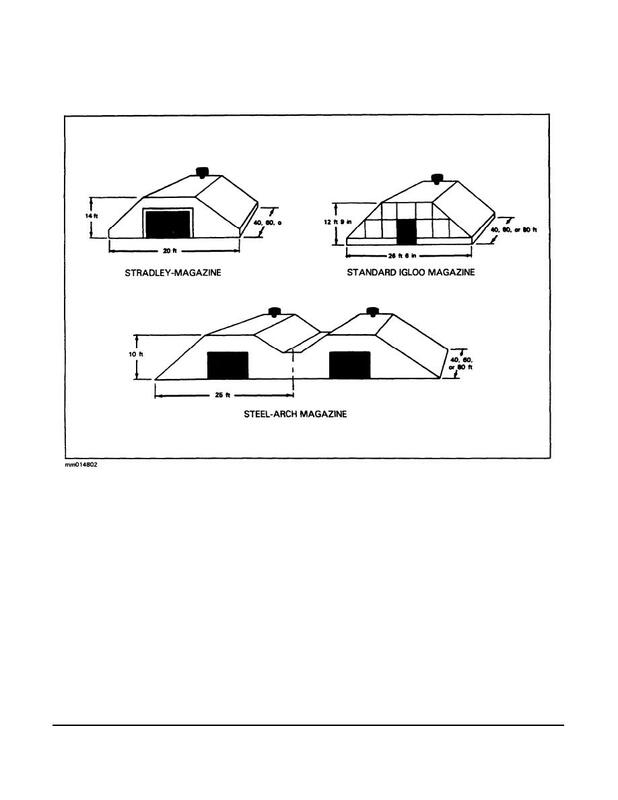 standard igloo, the steel-arch, and the Stradley (Figure 1). Figure 1. Earth-covered magazines with some common specifications. containers. Forklifts can go in and out easily with pallets and missile containers.